Two days ago, newly adopted Windows Phone 7 owners and specifically those with the Dell Venue Pro began complaining about problems connecting to private Wi-Fi networks. For two days, neither Microsoft nor Dell would confirm whether this was a hardware issue or something more deadly, something concerning Windows Phone 7 as a whole. We have confirmed that the Wi-Fi connectivity issue that was reported in blogs like Boy Genius Report and Ubergizmo resulted from a software glitch during Dell’s manufacturing process. 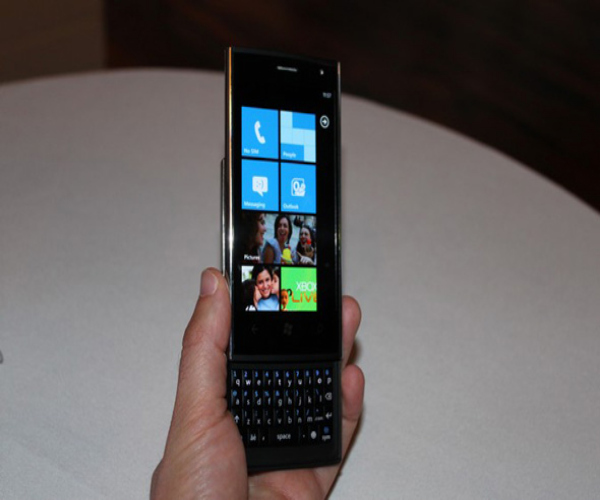 The issue affected some of our initial phone shipments and was not a hardware issue or a Windows Phone 7 one. Customers who purchased Venue Pro smartphones on Monday or Tuesday (November 8 or 9) at a Microsoft Store and who are experiencing the protected Wi-Fi network connectivity issue also have the option of bringing your phone back to the Microsoft Store for an exchange, beginning at the end of next week. Your new phone will fix the Wi-Fi issue as well. Extremely odd wording there and a little suspect but if you were unlucky enough to purchase a Venue Pro at the beginning of the week, you’ll be able to get a new one next week. Until then though, you’ll just have to deal with the pesky little Wi-Fi problem.